Dear students, here’s a unique opportunity to be heard by the largest collective of professionals ever assembled. LinkedIn invites you to showcase your communication skills, share your perspectives, highlight pressing concerns and curate voices from fellow students. Presenting the 2018 edition of the Campus Editor program. Click here to learn more about the program. This entry was posted in Midd Blogosphere and tagged Arts, Media, and Communications, Communications, Writing/Publishing/Journalism on October 2, 2018 by Alicia Gomez. This entry was posted in Midd Blogosphere and tagged Communications, Government, Law and Policy, international, Internships, Job, Social Impact, technology, Uncategorized on April 22, 2018 by Tracy Himmel Isham. If you are interested in Marketing and Communications, you should explore Brand Consulting on Friday, March 1. Ron Cappello P’21 of Infinia Group will focus on an example case study to give you a better understanding of the nature of brand consulting, types of clients, their service needs, and whether it may be appropriate for you. Bring your questions! You could also schedule a 1:1 chat with Ron Cappello P’21 for Friday morning. Sign up here! This entry was posted in Midd Blogosphere and tagged Advertising/Marketing/PR, Arts, Media, and Communications, Communications, Consulting, Digital/Social Media, Sales and Marketing on March 6, 2018 by Alicia Gomez. 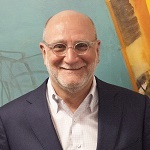 Join Gary Schwartz-Moore to learn more about Middlebury’s new partnership with HBX Credential of Readiness Program (CORe), Harvard Business School’s online digital education initiative. Designed by Harvard Business School faculty, HBX CORe is an interactive online program focusing on the fundamentals of business; it comprises three non-Middlebury credit courses: Business Analytics, Economics for Managers and Financial Accounting. As part of the partnership, HBX has made financial aid available for those who qualify. More information is available at http://hbx.hbs.edu/courses/core/. This entry was posted in Midd Blogosphere and tagged Advertising/Marketing/PR, Arts, Media, and Communications, Communications, Digital/Social Media, media, Sales and Marketing on February 27, 2018 by Alicia Gomez. Are you interested in publishing? It’s that time of year when publishers, book manufacturers, and authors are identifying the key trends that will influence their roles in the industry during the next 12 months. In 2018, the publishing industry will likely follow the broader patterns that have been seen throughout the past decade, including the rise of small publishers, digital platforms, and new formats. This webinar is designed to share industry leaders’ perspectives on how these trends will impact your business goals this year and in the years to come. How will publishers deal with various trends of the past decade, including the rise of e-books, indie publishing, Amazon’s dominance over the industry? What print technologies are in place to meet customer demands for shorter runs and ultra-fast turnarounds? With hundreds of titles being driven by independent and self-publishers, what’s the best way for new authors to get discovered? This webinar will also cover how publishers, authors, and book manufacturers can evaluate business models to drive readership and make content available where and when consumers want it. Come to this session armed with your questions. You’ll be able to submit questions directly to our panelists for a live Q&A session during the hour. Can’t make it on February 22? No problem! Book Business webinars are archived for 90 days after the live event. Click here to register and get access to this webinar, both live and on-demand. This entry was posted in Midd Blogosphere and tagged Arts, Media, and Communications, Communications, Writing/Publishing/Journalism on February 6, 2018 by Alicia Gomez.